I'm pretty excited to have a new source for 120mm length stems! Fox DHX RC2 for sale. Not in perfect cosmetic condition with some scratches on the preload nut and a few rough threads, but it functionally works great. Price is $70 shipped to continental US. I have a spare boxxer lower crown + steerer for sale - I needed a longer steerer for a new bike. This lower crown will work for boxxer forks with 35 mm stanchions. 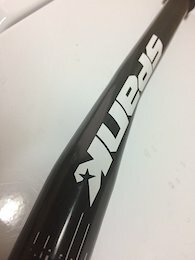 Steerer is cut to 5.8" (see picture) with star nut installed. No creaks, no issues, good to go. These little buggers will cost you $120+ new. Get this one shipped to the continental US for $60. 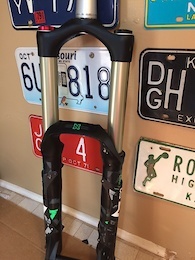 I am selling a Scott Voltage 730 downhill/freeride bike frame. It's a size Large: 440mm reach, 425mm chainstays, 64 degree head angle, 73.5 seat angle. Adjustable travel from 170-190mm. 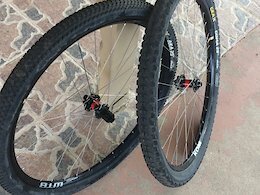 27.5 wheels. $525 shipped to anywhere in the continental US. Frame is in great functional condition, with lots of small nicks in the paint from riding. Take a look at the small dents on the top tube from dual crown fork bumpers - those are the biggest things on the frame. No cracks or other issues. Bearings/Linkages are in great shape with no play or creaks. I've finally accepted it's a bit too small for me (I'm 6'2"); I think it would be fine for someone in the 5'8"-6' range, or if you're tall and use it mostly as a jump bike. All included parts are listed below. Frame: Scott Voltage FR730, 31.8 seatpost included Shock: Fox DHX RC2 (I'll include any spring from 300 lb to 450 lb and can help pick the right one). I also have a Marzocchi roco shock that I can include instead, which would drop the price by $50. Headset: Headset for tapered steerer fork and one for for 1-1/8 dual crown fork Rear hub: Shimano Saint 135x12mm and bolt on axle. Scott sells 12mm dropouts for this frame, but the bolt on works well enough that I never bothered. Crankset: Shimano Zee 165mm with unused chainring I think that $500 shipped is a pretty good price with the included parts. Thanks! 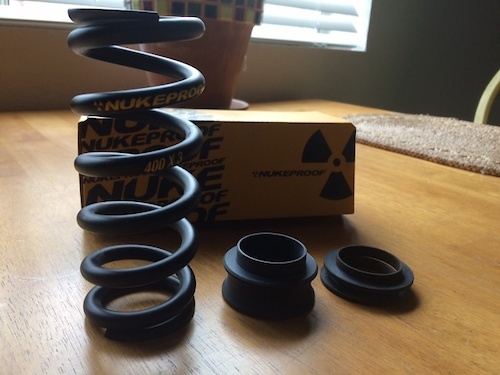 I am selling a 450 lb Nukeproof SLS spring. It was used for around 15 bike park days. These are comparable to the orange fox sls springs. Pictures show a 400 lb spring which has been sold. These springs will work for shocks with 2.75-3.0" travel, and will fit rock shox, fox and marzocchi shocks. It may work for others, but it will definitely work for these. 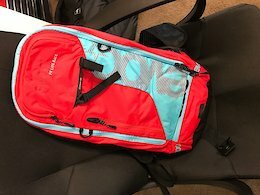 The spring is $40 shipped to the US. They sell for around $80 new on the CRC website. Contact me for a quote if you're in Canada. Thanks!